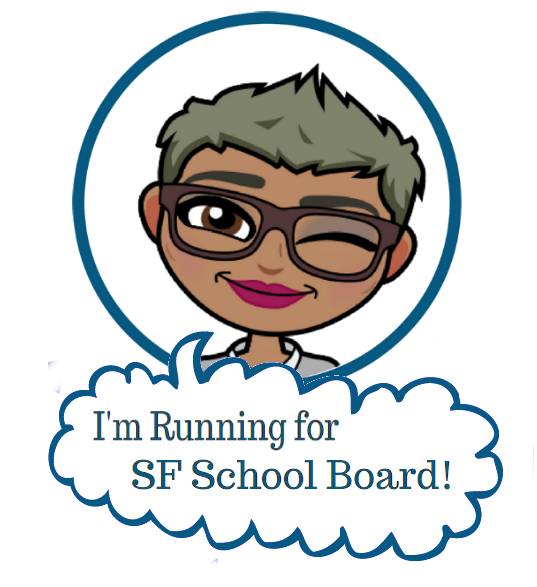 Have I Mentioned I’m Running for School Board? As if I didn’t have enough projects already… Anyone who knows me personally knows this year has been a doozy. Last year at this time I had just helped my dad, who had Parkinson’s and advanced Alzheimer’s, move into a Board and Care home. My mother and I were learning my mom had advanced ovarian cancer, only a few months after attaining newfound freedom from being a care-giver 24-7. That year, I helped her get her things in order, cross of some final bucket list items and move on to a hopefully better place. Then, literally at the beginning of this year, I got a call from my dad’s home that he was ill. He passed away just four days later. As you can imagine, I’m still doing a lot of processing/grieving of my folks and especially my dad. This is a picture of him as a child in front of the home in Evanston. He’s holding his beloved cat Scroodaloonce. (I’m not really sure of the spelling?!?) Anyway, he was an only child, and he LOVED that cat. There were lots of stories. Now I’m looking at pictures of my girls at the very same age and wondering where the time has gone. Each fleeting moment is so special. There is no time to waste. My dad taught me: Do what you love. Be of service to others. Create positive change in the world. My grandparents parents provided, loved and nurtured them, so they in turn could do the same for my dad, who did so for me and now I do so for my children and theirs. We are all a part of a beautiful chain. We can never truly give back what we’ve been given by our elders. But we can pay it forward to the next generation. I’ve spoken a lot about the legacy my parents gave to me. More than almost anything, it is an educational legacy. My mom grew up in public housing, my dad’s parents were not allowed to go to high school due to Jim Crow, and yet because of the investments their parents and teachers made in them and because of public schools, they were able to become the first in their families to go to college and the first in their families to achieve a Doctorate level of education. Celebrating Black History means honoring my connections to my ancestors and the sacrifices and service they have given so I can be here today. I’m realizing that the reason I’m running for SF School Board is to be of service and pay forward on the investment previous generations made in me and my children. Investing in schools isn’t (just) about investing money, it’s about investing our time, love, and commitment to making the world a little better than the one we were born into. It is a great gift to be able to do this work. So, this is why I’m running. This is why I do this blog. This is why I have been advocating for families the way I do. Click here to learn more about my campaign, to get involved, or contribute. And, THANK YOU dear readers, for following and sharing my posts, and for all the work YOU are doing to pay it forward in your schools. We say we value parents. Nonetheless, there is much work to be done before our schools are truly welcoming and inclusive for all families. This is my truth. Thank you for stepping up to honor both the legacy of your parents and the promise of Democratic and free public schools! 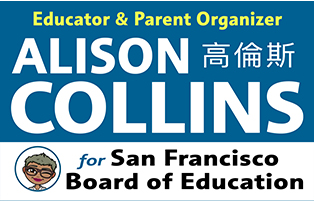 Dear Ms Collins, I was looking at the Nov election candidates on sf gov website , and I notice you are running for school board. You might not know me, but I have heard about you from my child. I would like to ask you, if you get elected, what would you be your first priority to make a better public school system. Hi! 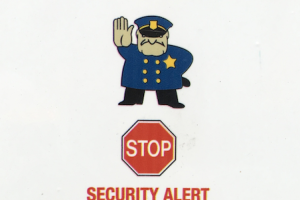 I guess it depends a little on where your child is at, elementary, middle or high school. At a very minimum, all kids deserve a school that is safe and teachers that challenge students and provide support where needed. I guess every candidate will say this. Where I am unique, is that I have worked both in the classroom and also in the district central office. I know how the district works and have been successful in making changes when things weren’t working properly. I helped raise over $1 million for a school that needed building upgrades in the Bayview, and I have worked with families and teachers to make sure schools are “accountable” to students and families. 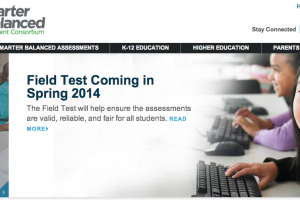 Mostly, I can help the district do what it says it will do to ensure all schools are high quality. I’ve yet to meet you in person, but I want you to know that your blog and tweets have been of immense help to me as the parent of a young boy who just started kindergarten at public school in SF. I’m so thrilled you are running for school board and am looking forward to supporting you out of gratitude for all you’ve done to help me and so many others navigate parenting. I know your platform will benefit so many children and families in our city. I hope that all of you who follow Ali’s blog can join me in supporting her!